MANY may think the life of a diplomat’s wife is all parties and cocktails. That is farthest from the truth if you ask Sylvia Tay, wife of Belgian Ambassador Roland van Remoortele. Tay, who is an active supporter of Activistar, a private-sector advocacy group in Singapore. 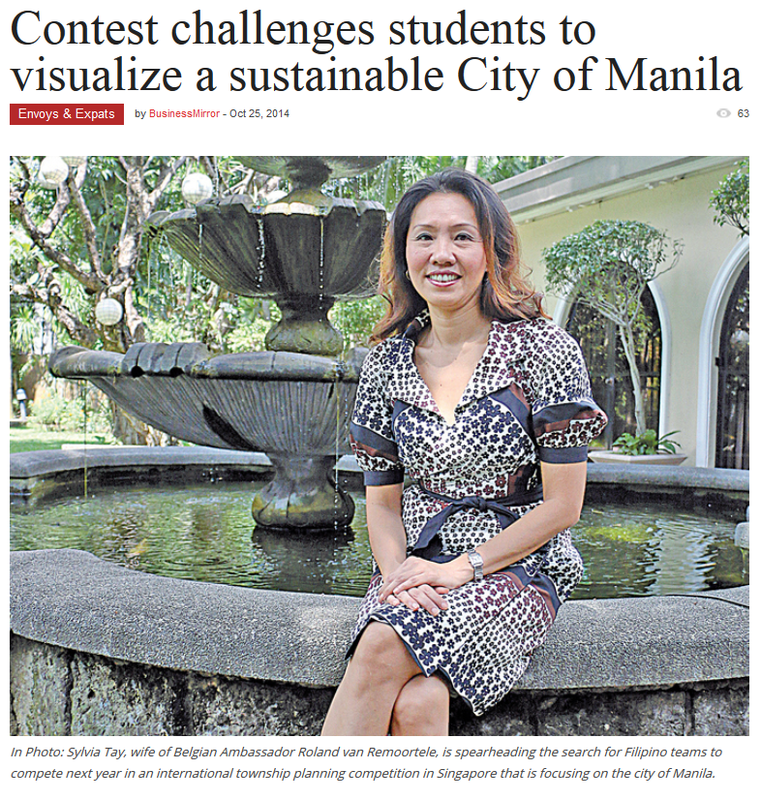 If you ask her what keeps her busy nowadays, she would tell you that she has a full calendar meeting with local officials, governments agencies, schools and private companies in an effort to drum up participation and support for the City Beautiful Manila-Young Mayor Competition to be held in Singapore in April 2015. A number of companies have already signed up to support the effort. Sponsors of the township competition include ABB, AES Philippines, The Mind Museum, and Bases Conversion and Development Authority, as well as the Office of the City Mayor of Manila, the Department of Education and the Department of Tourism. The CLC in Singapore has supported the effort for the past four years. For inquiries about sponsorship, e-mail sylvia.van.remoortele@activistar.com.